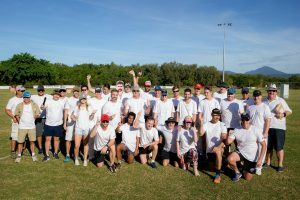 Mantra Group’s North Queensland Region took to the pitch on Saturday (17 June) to raise $13,000 for the Luke Batty Foundation, the group’s official charity partner, at their annual cricket day fundraiser. The donation, which was presented to the foundation on the day, will be added to the region’s Corporate Social Responsibility contribution for the year. 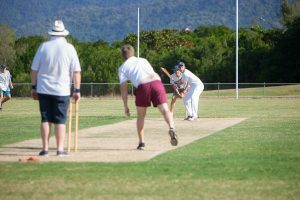 Mantra Group Area Manager Chris Northam said he is thrilled by the donation the North Queensland Region has raised and looks forward to supporting the foundation again next year. “This event is our region’s major annual fundraising initiative, and I’m delighted we were able to contribute such a large donation,” said Mr Northam. 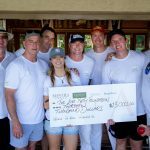 In FY17, Mantra Group properties and team members have raised more than $100,000 for the Luke Batty Foundation through events such as the cricket day and staff fundraising initiatives. Mantra Group is a proud supporter of the Luke Batty Foundation, as passionate advocates against family violence. The foundation brings awareness to the social issue of domestic violence. It works to achieve empowerment of women, give voices to the children and hold accountability to the perpetrator through education, advocacy and campaigning. For more information on the Luke Batty Foundation visitwww.lukebattyfoundation.org.au.